The interior in the Japanese style room cleanliness, harmony, and serenity. Every room in Japanese style to preserve the balance and hold the peace. In the Japanese style of all objects interact with each other. 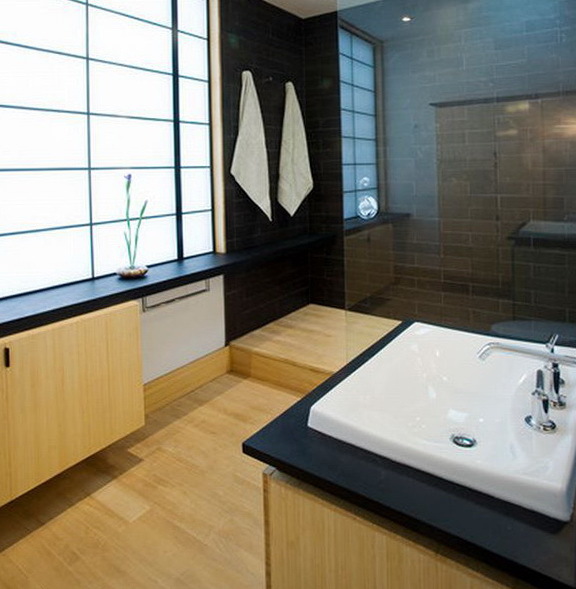 Japanese style is primarily a philosophical system in your home. Japanese style will make your apartment completely. Harmonious, worth investigating several components with which you can create a Japanese flair. Japanese style should not throw anything extra, you should use natural materials, is also worth a look for subtle lines, concise forms. 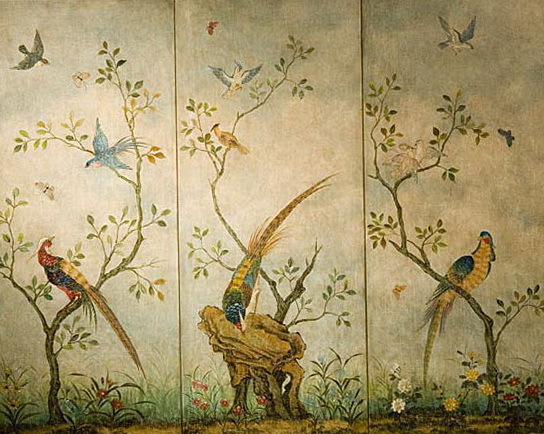 You can use additional attributes and accessories, such as the most popular – the partition. Partitions made of thin rice paper, this material is very well protects the house from rain and sun. Rice paper has a dense matte texture. 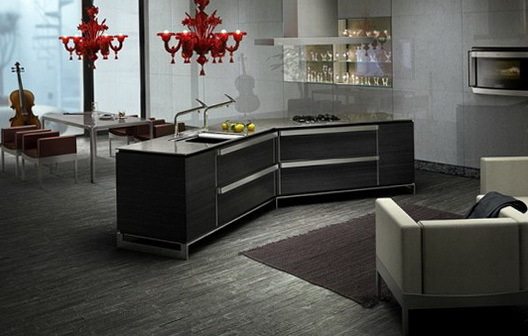 Thanks partitions can be divided into several zones rooms and units. 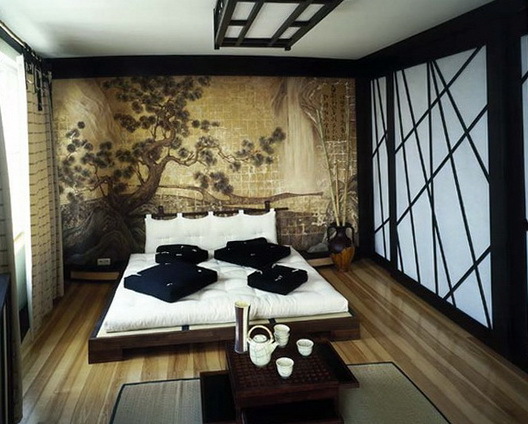 The Japanese style is very important to allocate center of the room, in the middle of the room is usually placed low bed or mattress, a low table. Can be placed around the flower arrangements, floor lamps, and small boxes. The Japanese room layout has to spend more time on the floor, or on the floor, such as a meal to spend on the floor at a low table, as well, and tea. Color’s which most commonly used light shades are, it can be white or milky colored. 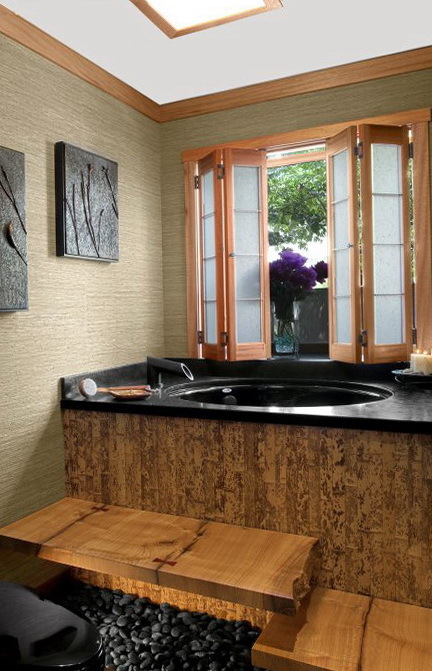 Most recent: the tone of the rice paper, green bamboo, birch is light, dark wood. A more subtle shade of pink and red to highlight the use of zones and to make the room a contrast. 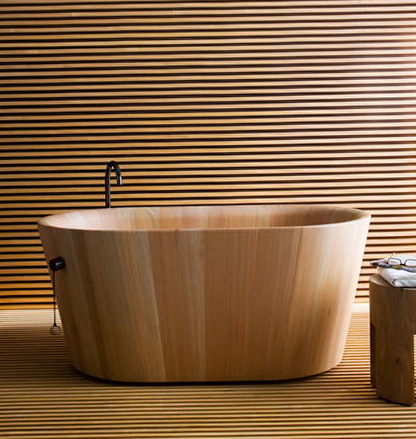 The floors and walls are covered with wooden cover, such as veneers, cork, rice paper, or can make use of products that are similar to those materials.